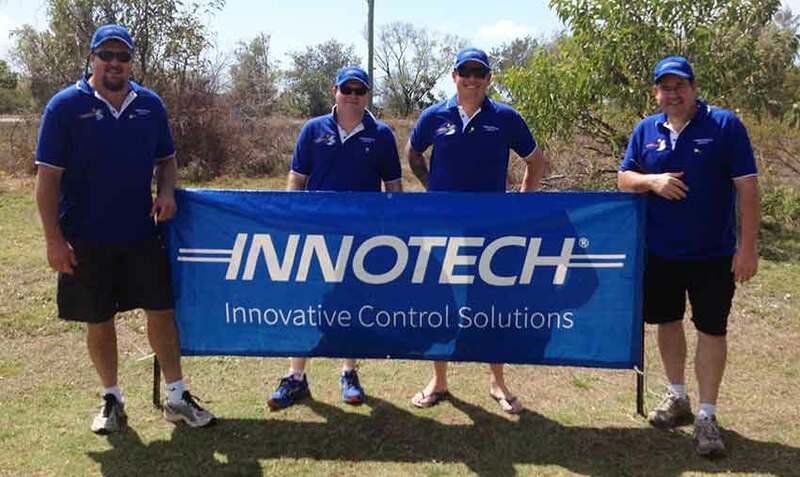 In August 2015 I visited with our North Queensland Distributor Bonlec Controls to be present at their local AIRAH Trade Night in Townsville, and to once again support the North QLD Industry Golf Day. A tough job but someone has to do it. Bonlec Controls are a long term Innotech representative with a focus on quality, service and reliability. Bonlec provide solutions for HVAC Controls and BEMS and are known for their ability to assist with system design, installation, commissioning and ongoing service and maintenance. Many may not realise that the Bonlec team also design customised solar solutions for remote regions through their BonTech Alternative Technologies business. Innovation is key to Innotech’s success, and likewise BonTech undertake custom projects to solve client problems, where off-the-shelf solutions do not exist. One interesting application brought about by the AGmon™ is the development of a wild cattle/feral animal trap. It enables the operator to reduce disturbances to the trap and unnecessary stress on animals in the trap yard. It saves time as photos from the AGmonAgmon™ enables the trapper to see what is happening in the trap. 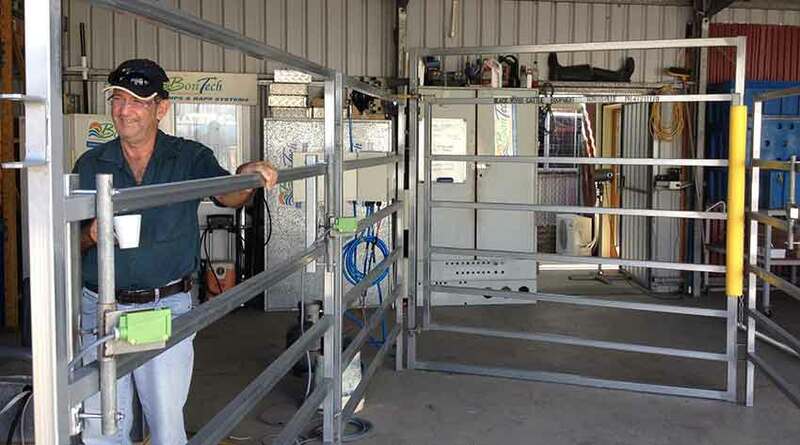 They are presently undertaking field trials of their first prototype cattle trap on a Cape York cattle station. Go to the BonTech website for more info on the Agmon Cattle Trap. The AIRAH Trade Night was well attended by the industry, and it was great to catch up with various clients, consulting engineers, partners, and yes, even our competitors. Congratulations to AIRAH for the organisation of the event, it was fantastic to see the number and quality of attendees. 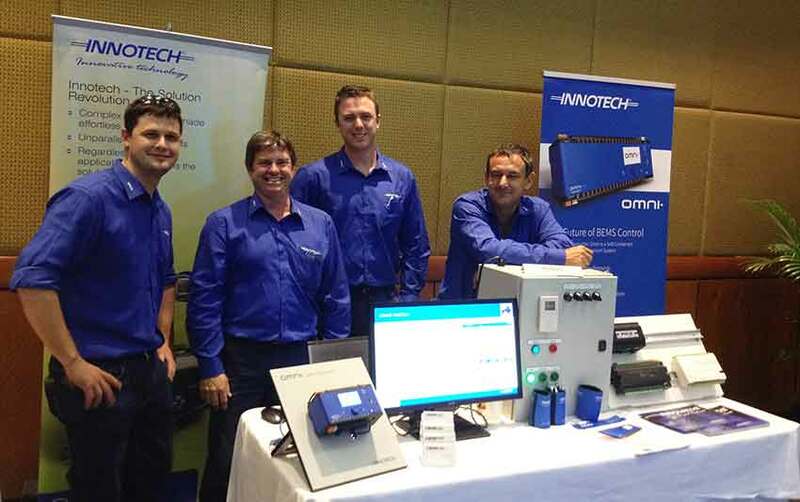 It was also a great opportunity to show the current status of the new Innotech Omni BEMS platform. There was definitely much interest and opportunities to follow up. The North Queensland Industry Golf day was once again a great success and it is a credit to all those who give their time each year: organising the event, providing the food and drink throughout the day, and raffling off prizes for charity. Innotech are proud to be a sponsor of the event, and to know $5K was raised for Cancer research was a great effort by all. I am looking forward to 2016, even if my golfing abilities are…….well lacking! Thank goodness for Ambrose golf! No, we won’t show the video of the Distributor Managers effort on the first hole. If it was 18 holes of putt-putt I would have done fine. Visiting DDCS in South Africa - What a Trip!